Prof. John Kutzbach, his enthusiastic support and outstanding contribution to science and technology, productive collaboration with CAS and the training of talents are genuinely appreciated by his colleagues at CAS. With the recommendations from IEECAS and the reviews and selection made by the appraisal committee, CAS has decided to confer upon him the 2015 Award for International Scientific Cooperation. John Kutzbach is a professor, and a long-term director of Center for Climate Research, University of Wisconsin—Madison. He is an internationally recognized first class scientist on climate numerical simulation. 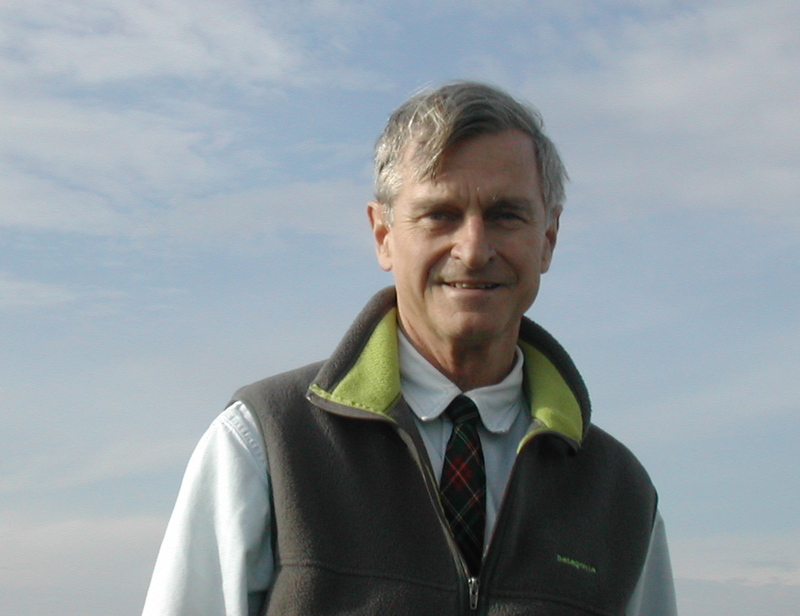 He is one of the pioneers and founders in paleoclimate modelling, and he was elected a member of National Academy of Sciences in 2006. 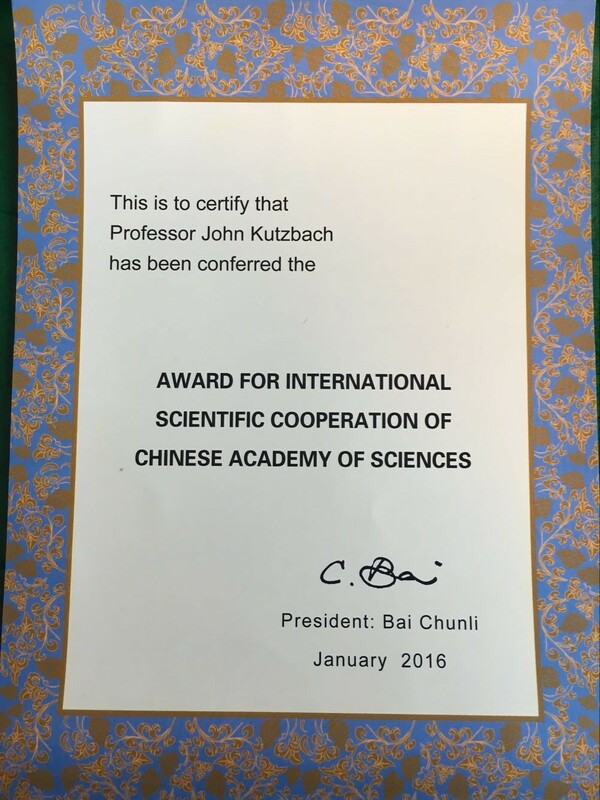 In his 30 years of collaboration with CAS, Prof. Kutzbach has pushed Chinese earth science into a new dynamic stage combining research of traditional geology and numerical simulation. He has co-published many papers of collaborated study results with scientists from CAS on internationally esteemed journals, such as Nature，Science, etc. He has promoted the generations of major joint projects sponsored by NSFs of both China and USA. He has made indelible contribution to the fast development of global change study of CAS, and to helping Chinese scientist entering the global stage and making original breakthroughs in Earth System Science. He passes his new ideas, new techniques and new methods selflessly to Chinese colleagues, and contributes outstandingly to the growth of excellent leading talents in CAS. For many years, he keeps inviting key researcher from CAS to visit US carrying out collaborations. He has also held series lectures of climate dynamics in China. Among the collaborators once worked in his laboratory, three have become a member of the Chinese Academy of Sciences, and many have become winner of National Science Foundation for Outstanding Young Scholars.